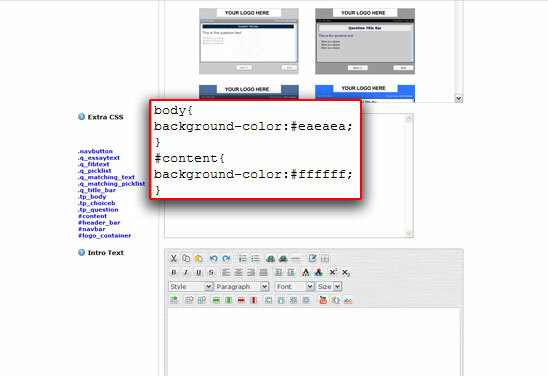 In this tutorial, I will be explaining how to modify the CSS properties for the selectors discussed in the previous article. Thats it! 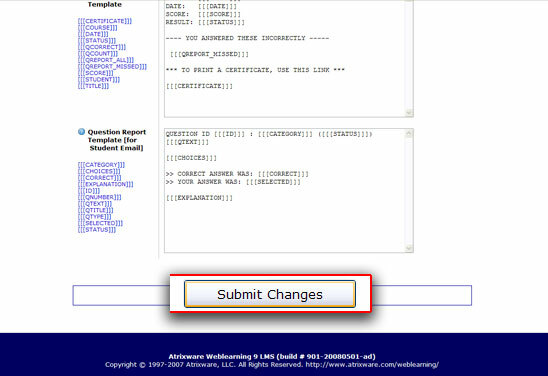 Just replace your background-color with the hexadecimal value desired and click Submit Changes. 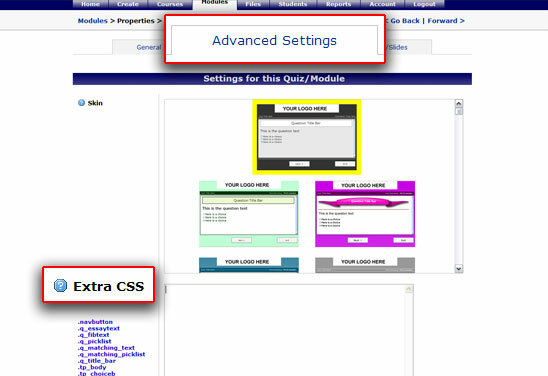 Navigate back to the Extra CSS input field. Now change the background color of the content area to white. Paste the following below the code already entered. If you preview your quiz, (Courses tab > Portal) you will notice that some of the borders are white and may not show up well on the new background. To change the top and bottom border color and style, paste the following. 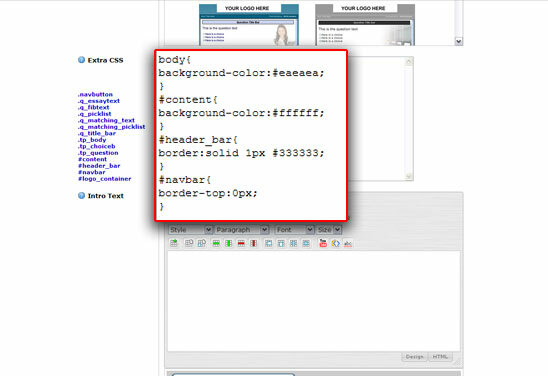 The border of #header_bar will appear solid, grey and 1px wide. The top border of #navbar will not be visible because its width is 0 px. 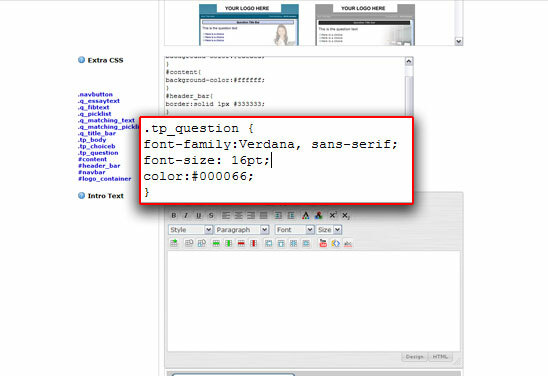 You can add as many CSS properties for a selector (ex. #header_bar) as you would like but each line must end in semicolon as shown above. 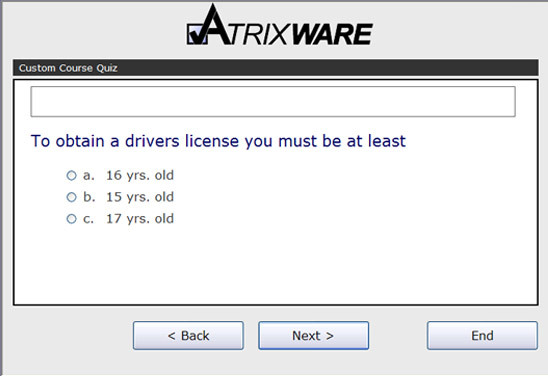 This entry was posted on Monday, May 26th, 2008 at 12:32 pm	and is filed under Atrixware 101, Dan, Weblearning. Both comments and pings are currently closed.